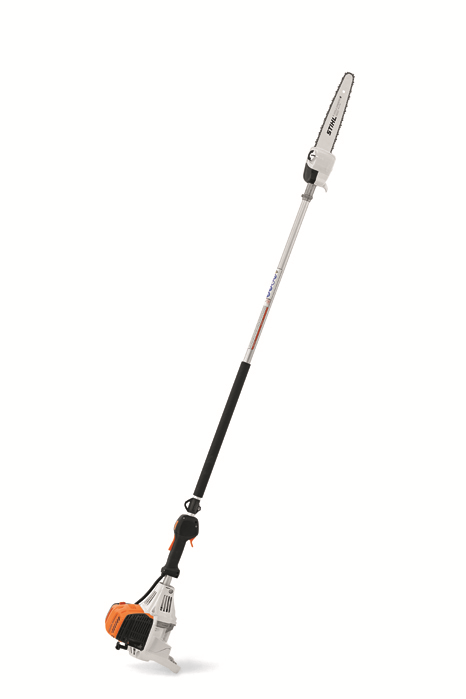 A high performance and precise pole pruner with a redesigned gearbox and extended service life. With its redesigned gearbox, the STIHL HT 102 Pole Pruner provides easy handling and reduced fatigue when reaching for high branches. Its air filter delivers excellent air filtration, extending service life. With its powerful and low-emission engine, the HT 102 is ideal for all your pruning needs. It features a simplified starting procedure and one-touch stopping, saving you time on the job. In addition, the 1/4" STIHL PICCO™ Micro™ 3 (PM3) narrow saw chain on the HT 102 results in smooth, clean cuts. Make trimming branches easier, use the HT 102 Pole Pruner.